K.P. Krishman’s Nirayana Ephimeris by Sri. K. Subramaniam is the latest Ephemeris in the series of K.P. Ephimeries for the year 2011- 2020 AD. We have this Ephimeries 2011-2020 AD containing the day to day positions of various planets for a set of 10 years. As in the previous Volumes the day to day planetary positions of SUN, MOON, MARS, MERCURY JUPITER, SATURN AND RAHU including the trans-saturine planets Uranus, Neptune are furnished here for every day at 5.30 am. 1ST, and for corresponding standard Time of any country or Zone equivalent to 5.30 am. IST. The 810 Time Expressed 1 hours, mts & seconds is computed for every day 5.30 am. LMT at 82.30 East longitude of the Centre Meridian of India. The SID-TIME can be adjusted to the Standard Time of Meridian of any country or zone in two ways. If this time between the local Standard Time Meridian & 1ST Meridian is added to long, of Eat of 82.30E or substracted from the (for longitude of West, Sit) Time in their Ephimeries, the resulting figures is the 5)0 Time at the local Standard Meridian at he Standard Time equivalent of 5.30 a.m 1ST. Another way is to add ( for Ecist) or substract (for west, the Sidereal time correction for longitude difference between 1ST and 1ST Meridians, the resultnt figure being the SID Time at the local Standard Time at 5.30 am. 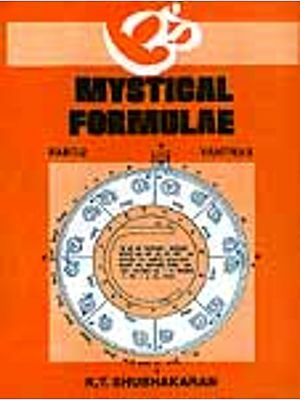 LMT (Table X) It has also felt necessary to include in this volume a few useful Tables with the aid ft which it may be possible for even an amteur to correctly cast the horoscope of a person in any part of the world and not necessarily in India. Table IV gives the Timings of Sun Rise in LMT for the various places lying for the north of Equator (North lat).and Table V similarly for South at. Table VilA shows the amount of correction for Sidereal lime to be applied for every hour and parts of an hours and for every hour and parts of an hour and for every degree of longitude. Table X indictes the Standard Time followed in each country or Zone with in the same country and how for it is ahead or behind, the GMT and also the local standard Time equivalent when it is Noon at GMT & 5.30 p.m. 1ST. Yet another Table -Xl Furnished the LAT/long of Prominent places in and outside India. An important Table of longrithms -Table I has been added and how to use the table also been explained in detail with example births. Other important TABLES XIII explaining the division of the Zodac according to KP, (1 to 249 subs) and the duration of dasa Bukthi periods. (Table II & Ill) according the UDU maha dasa or the Vimshottari Dasa which is most popularly in use in India also find a place. This volume of K.R KRISHNAN Niryana Ephimeries 2011-2020 AD also containing additional information such as the method of arriving at the correct time of birth when such time is given in GHATIKAS and VIGHABICAS after sun rise, how to convert the STD. Time o birth to equivalent in LMT and again arriving at the SID Time by conversion of LMT. As aforementioned the planetary positions in the K. P Krishman’s Niryana Ephimeries 2011- 2020 AD are according to NIRAYANA fixed zodiac system and any reader/student Astrologer/Research scholars/ Traditional and Hindu Astrologers desiring equivalent sayana position may easily obtain the same by adding the Ayanamsa value for year relevant available in Table XII, After obtains Sayana position of planets, they can deduct the of Ayanamsa of their choice, and such as chitra paksha, Lahini’s and other Ayanamsa as per their choice. However the author strongly recommends the use of Ayanamsa recommended in this work as the basis of the experiment and research done by his father and beloved guruji late Shri. KS. Krishnamurti with this Ayanamsa over a long time (Table XII). So the readers are advised for strictly follow the Ayanamsa found in Table XII till 2052 AD and no corrections if any needed as adviced to by our Guriji Late Shri .K.S.K. Our late Great Guruji, Jyothish Marthand Shri.K.S Krishnamurti, invented this Padhathi after a prolonged period of dedicated research. With the blessing of lord Uchishta Mahaganapathy - he transformed this into a miraculous science by introducing the three potent concepts of House cusps sublord, and Ruling planets nad handed it down to us his faithful followers for preserving this science, it constantly by dedicated research developments. This book K. P Krishman’s Nirayana Advanced Ephimeries 20i 1-2020” AD is a boon to all Astrologers in the world, including K.P. followers research students/scholars. Lord Uchishta Mahaganapathy will bless us all. i need this ephemeris 2011-2020(english) book urgently,i am from pakistan,one of my relitive is visit pakistan from bareilly (U.P) do you have dealer in bareilly.